I usually start here: what do bananas grow on? If your first thought is a tree, then you and I have a lot to talk about. The second question in the banana trivia pop quiz (don't worry there are only two) is: have you ever had an organic banana? If you're thinking "yes" and you live in Europe or the United States, you're most likely wrong, no matter what the sticker at the grocery store said. And at this point, you might be rolling your eyes, because none of this is your fault and there are a lot of problems in the world and why should this problem become yours. Well. I will tell you. First of all, bananas are the most popular fruit in the world. The UK spends over £750 million a year on banana imports and imports more than 5 billion bananas per year. Beyond being an in-demand export, bananas account for a substantial portion of daily nutrition for people in a number of developing countries. Bananas on sale at a grocery store in Colorado, labeled "Organic"
Unfortunately, bananas are plagued by several tropical diseases. The big ones are panama disease and black sigatoka, but in general bananas suffer most from what I’ll call “the tragedy of monoculture.” Bananas, like many of the crops we eat, are grown in massive swaths of land devoted to nothing but that one single crop. That enormous international demand for bananas I mentioned earlier can really only be fulfilled by monoculture, miles and miles of nothing but shiny green banana leaves. This intensification can cause a concentration of insect pests. Banana companies tend to deal with this by raining a plethora of chemicals down on their plantations. These chemicals have been known to cause serious health problems amongst banana workers. A group of Nicaraguan banana workers has been fighting for years to be compensated being exposed to chemicals that Dole Fruit Company knew were dangerous to their health. And that’s just one group that managed to find legal counsel and get their case tried in the United States; most banana workers that suffer injury or illness as a result of working in the plantations never connect their ailments to the chemicals they apply (often without proper protection), and they never see a lawyer. As if the insecticides, fungicides and herbicides weren’t enough, banana roots are shallow, and since it rains frequently in many of the places that grow bananas, topsoil is quickly washed away. For this reason, chemical fertilizers are applied generously as well. 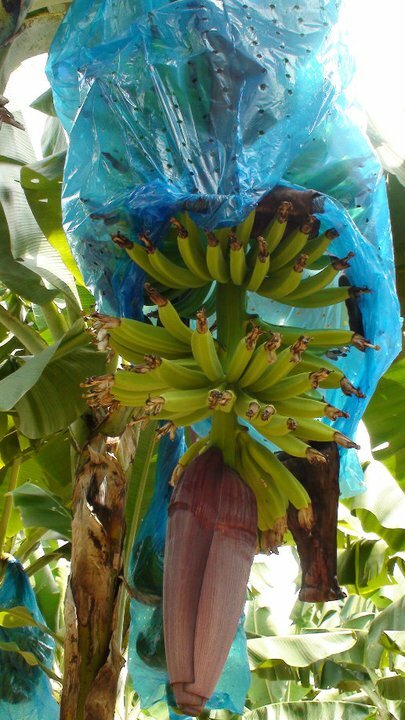 The banana you ate grew on a stem inside a giant blue plastic bag also infused with chemicals that prevented insects from munching on them, but these bags are so toxic that they get used for many, many stems of bananas, from flower to harvest. And these chemicals often wash off these plants in that very rainy weather I was talking about earlier and flush into local waterways, killing invertebrate life in streams and rivers and encouraging suffocating levels of blooming algae. All of these chemicals can only sustain banana plants for so long, though. When the land is well and truly depleted, banana plantations often just pack up and go cut down forest somewhere else to build a new plantation. This is all worsened by the fact that I mentioned at the top. Remember how bananas don’t grow on trees? They grow on herbaceous stems, and most banana varieties produce seeds. However, the variety that we eat, the Cavendish, is a sterile hybrid variety, and these stems reproduce by “sprouting” or cloning themselves. This means that every single banana you’ve eaten has come from a genetically identical plant. And remember how many diseases are after the banana? Without genetic variation, bananas as we know them can never build up any sort of immunity to any of their diseases. Non-cloning plants will be selected for their survival and resistance to a disease will develop in a population, but bananas do not have this advantage. The only solution banana producers have is to shower the plants with an ever-thickening concentration of chemicals. Now, this is a very dark picture I’ve painted, and if you’ve made it this far, I want to believe it’s because you see what I see: that there’s hope. You see, we love bananas an awful lot; they’re a terrific deal of a fruit, providing a plethora of essential nutrients in just 110 calories of delicious mushy goodness. But botanists and pathologists who study bananas and the diseases that affect them give the current variety of banana, the Cavendish, about 10 years until it collapses and becomes commercially unviable under the weight of all these diseases. That’s going to leave us banana-less and it’s going to leave thousands of people across the developing world without a paycheck, even a small one. So, what can we do? A radical change in the way we consume bananas may be the only way to keep our favourite fruit in our lives. And this might mean that we all start eating organic bananas. Bananas being grown in a Chiquita plantation in Sixaola, Costa Rica. One of the reasons the Cavendish, the cloning banana, is so popular with the big commercial banana growers is that it can be picked two weeks before it’s ripe, when it’s very green, and packed into shipping containers to be shipped across the ocean to the United States or Europe. Sending fruit off in shipping containers is incredibly cheap, and is the main reason, apart from cheap labour, that bananas cost around 20 pence a piece in the grocery store. But what about the other varieties I mentioned? The ones that reproduce via seeds. There are likely hundreds of varieties of edible bananas. And many of them are delicious! The biggest barrier to getting these to the grocery store is that they are organically produced, don't use pesticides, and therefore would never last two weeks in a shipping container. Some independent banana farmers, though, have started experimenting with food dehydrators, creating “banana raisins.” These dehydrated fruits contain all the nutrients of the normal fruit, and the great taste! But dehydrated bananas also have incredibly long shelf lives, allowing them to also be shipped anywhere. It’s a radical solution, but maybe we need more of those. After all, no one wants to lose the banana. And no one wants to lose the rest of the crops we eat. Off-the-wall solutions are needed across the board in agriculture. No two problems will be solved the same way. But bananas are among the most challenging problems out there, so if we can fix the banana, we can say, "Bring it on!" to the rest. 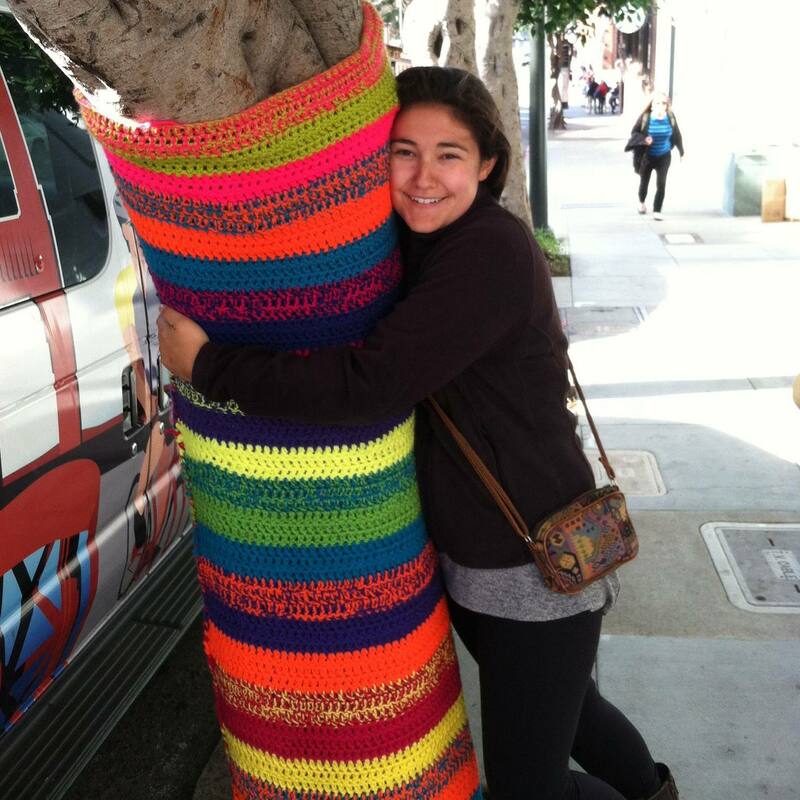 Following her dual degree in environmental studies and film studies, Jackie spent four years in Los Angeles, working in the television industry before returning to the world of science and academia this year to complete her masters in applied ecology. The main inspiration behind her return to education was undergraduate experience living on a banana plantation and the imminent challenges bananas are facing in the next decade. She deeply believes in the power of storytelling to change hearts and minds. When she doesn't have her nose in a book or a impending deadline on the horizon, Jackie enjoys hiking, climbing, yoga, trail running and watching the digital koi fish swim in circles on her computer. Breathe in, breath out.